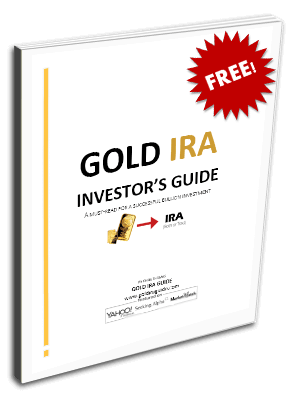 Gold IRA GuideWhat is a Gold IRA? A Gold IRA is a type of retirement investment account that has come into the limelight in recent years. These special forms of IRA retirement vehicles are actually self directed IRAs that are meant to hold physical gold coins and bars (and other precious metals). 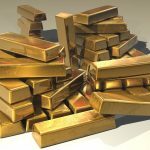 Thanks to new IRS rules and regulations, you are now able to own high-purity gold and the other precious metals in their tangible form in such accounts. This provides you with a great opportunity to physically invest in gold, silver, platinum, and palladium in a way that is safe, convenient, and tax efficient so that you can hedge your retirement assets against the uncertain economic and geopolitical landscape we live in. This type of gold IRA can be just what the doctor ordered to give you and your family all of the security you need for the uncertain future. Thankfully any individual is now able to safely and easily invest in gold today because of these self directed IRA accounts. Investing in precious metals is no longer restricted to only the rich and famous, due in large part to these accounts. The caveat is that it requires the special type of IRA vehicle in order to hold physical gold and the precious metals. There are several strong advantages to having such a retirement portfolio and account. Probably the greatest single reason to inventory gold within your self directed IRA is because the precious metals are the smartest and easiest means of protecting your retirement and other assets against the ravages of inflation and other manifestations of economic chaos. As money gets inflated away by the meddling government, it decreases in value. This even reaches the ultimate value of your other traditional forms of investments. The investments which historically do not decrease in intrinsic value nor suffer at the hands of inflation whatsoever are gold and the other precious metals. This asset class increases in value as the economy suffers and the American dollar declines over time. This is why you should consider adding gold to your retirement plans in order to hedge their value against deterioration. Because the long term trend of gold is up, it makes great sense to factor it into your retirement assets. The tax treatment of money invested in gold within a Gold IRA should not be underestimated. There are no unfortunate tax consequences or hard requirements of declaring precious metals from the IRA to the IRS (since they are already aware of it). You also will not suffer any tax problems or penalties should you later decide to transfer your Gold IRA assets to another approved investment or retirement plan down the road. Stocks, bonds, and the various mutual funds are the traditional forms of asset classes. This is why most financial advisors feel so comfortable in recommending them to you, even when they are unfortunately recommending an overexposure to them in the form of typically 60 percent for stocks and 40 percent for bonds. Gold and the precious metals are one of the chief classes of alternative investments. As with real estate, art, diamonds, and other collectibles, this precious metals bullion provides a true diversification factor in your IRA vehicle that no clever magical combination of stocks and bonds can ever hope to achieve on their own. Because the beta, or correlation, between stocks and bonds compared to gold and the precious metals is extremely low, you can rest assured that falling stocks and bonds prices generally translate to rising precious metals bullion prices. If you already have an established traditional IRA which is invested in stocks, bonds, cash instruments, or some combination of all of the above, then you already have the money handy to invest in gold, silver, platinum, and palladium. This is because you are able to simply roll over, or transfer, part or all of any existing retirement account over to a Precious Metals IRA. This means that you can take funds out of 401Ks, IRAs, Roth IRAs, and other forms of government retirement accounts, transfer them over to a self-directed IRA, then give orders to your IRA account administrator to purchase precious metals on your behalf, and all without having to front extra cash. Some investors are concerned that if they transfer their traditional retirement accounts on over to a precious metals Gold IRA then they will not be able to hold other forms of non-bullion investments within the vehicle. These accounts can hold gold, silver, platinum, and palladium from the precious metals complex. It is important to know that these self directed IRA accounts are not only restricted to precious metals bullion. They can also hold franchises, businesses, stocks, bonds, mutual funds, commodities and futures, mortgages, cash instruments, and other non-collectable forms of investments. In fact, there is no other form of IRA investment or retirement vehicle which can hold a larger variety of investments than can the self directed gold IRA account.